at the king and queen’s hideaway. whispered from lips of concrete heirs. though the peasants weren’t allowed in. like guillotines cutting through skin. where follies fade and legends grow. like dust on ideals long dead. and drowns the suggestion of slaves. on benches where kisses once laid. where they often just came to hide. 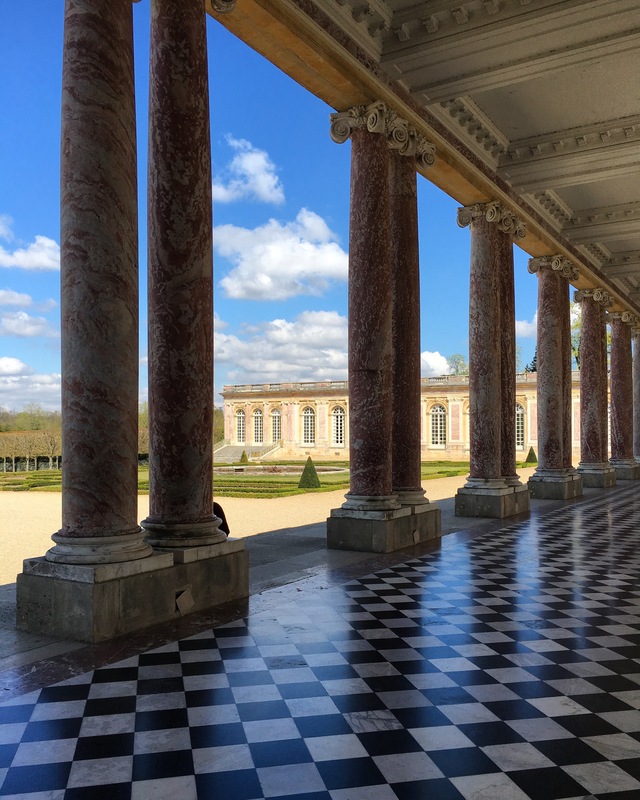 Photographs taken on Sunday 2nd April at Chateau de Versailles, Paris, in the sun. Don’t let the buggers forget! It’s glorious here too. Thank you so much. I was in Versailles last Sunday and couldn’t resist being inspired!! I loved the journey through Versailles and history, too. And I loved the repeating “s” sounds. I wish all history lessons were so artistic and entertaining! Thank you for the tour in word and image, Dami.